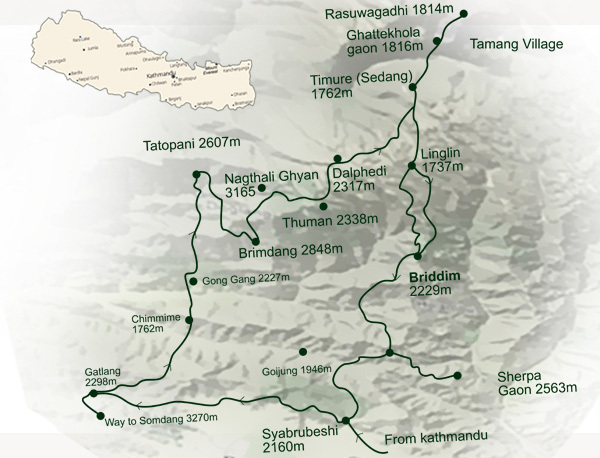 Tamang Heritage trail take you through verdant midlands of Nepal experiencing the beauty of this mountain region and the culture of the people who live here. After driving 7-8 hours from Kathmandu to Syabru Bensi, the trail passes through traditional villages where life, culture and crafts have remained unchanged since initial stage of the settlement. You will be welcomed by the locals with their tradition, costumes and typical hospitality. 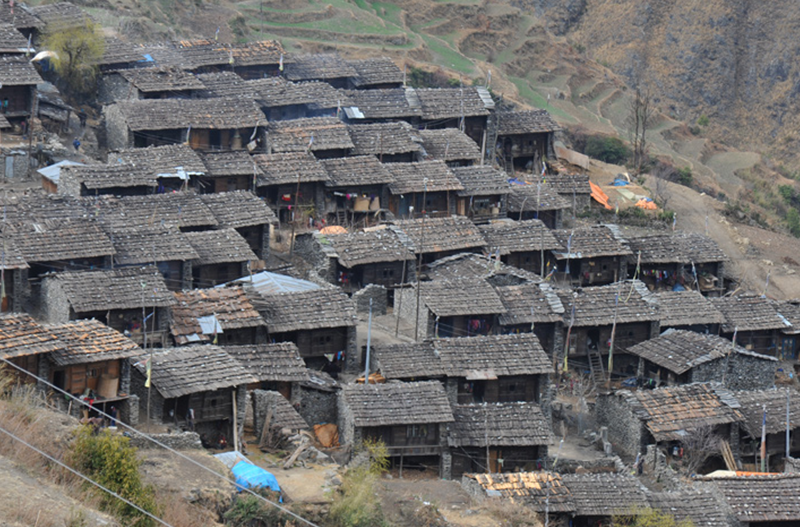 Rich architecture of village house, ancient monasteries, mountain sceneries are the other attractions of the trial. 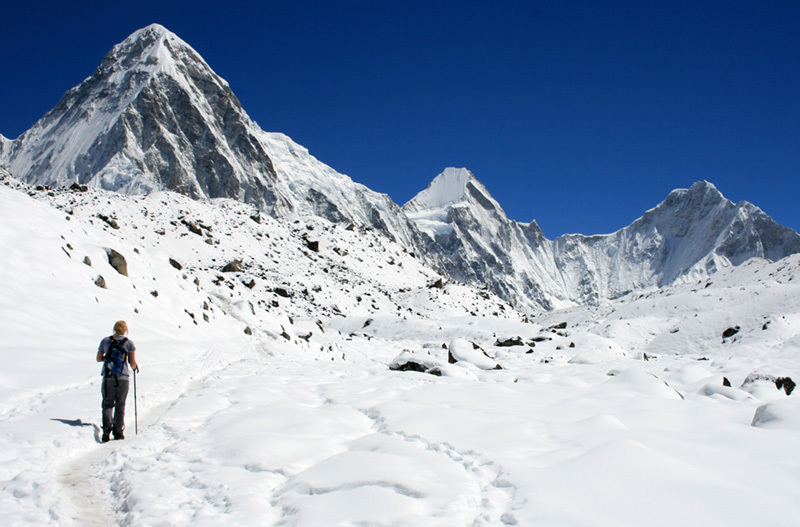 In addition to the cultural experiences, the trek also offers wilderness experience through beautiful landscapes of alpine terrain, flat meadows, and rhododendron forests. 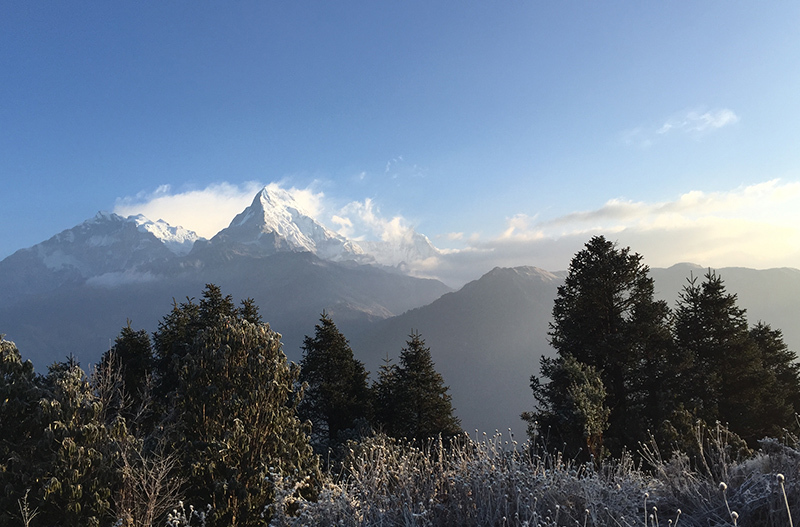 Day 1 Kathmandu –Syabrubeshi, (1467m, 7 hours drive), o/n rest at lodge. Day 2 Syabrubeshi-Goljung-Gatlang (2238m, 3 hours drive),o/n rest at lodge. Day 3 Gatlang – Tatopani (2607m, 6 hours walk), o/n at lodge. 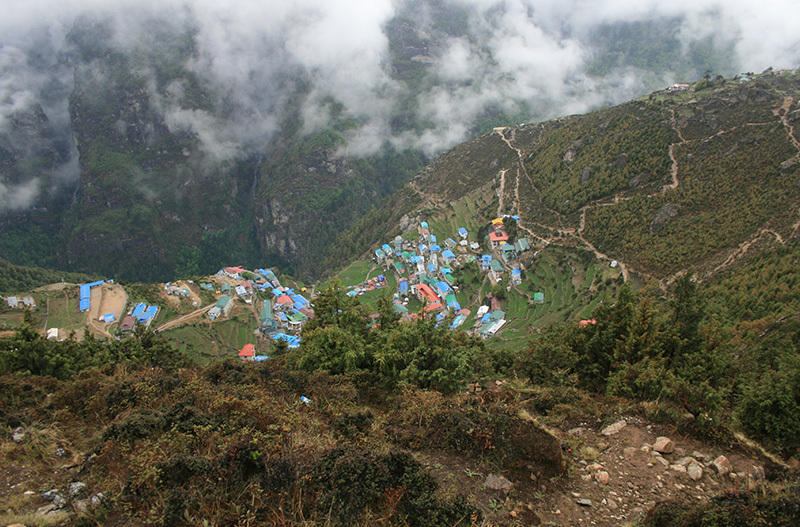 Day 4 Tatopani – Thuman via Brimdang ( 2338m, 6 hours walk), o/n at Home Stay. Day 5 Thuman – Timure via Rasuwagadhi ( 1762m, 6-7 hours walk), o/n at Lodges. Day 6 Timure – Briddim (2229m, 5:30 hours walk). Day 7 Briddim – Syabrubeshi, o/n at lodge. Day 8 Drive to Kathmandu.